The official ALL DIGITAL Week has just finished, and what a week it has been! 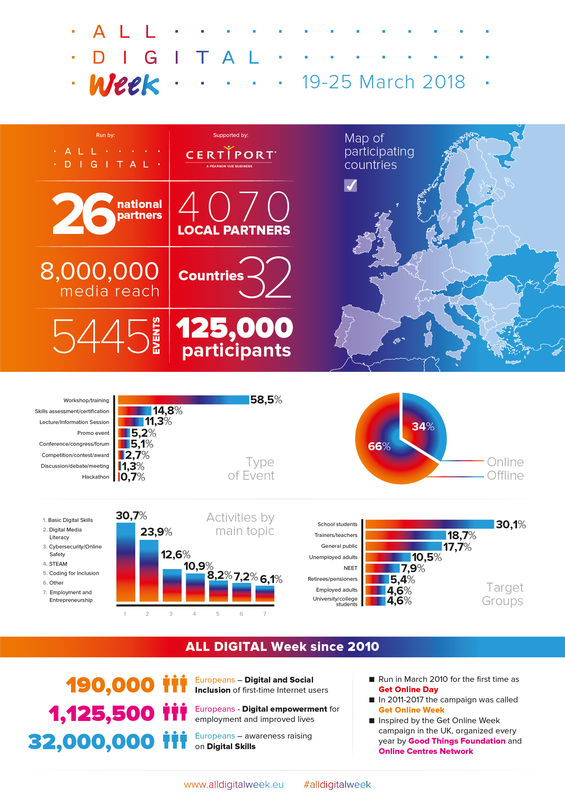 Already now there are over 1,200 events on the ALL DIGITAL Week map for more than 70,000 participants who took part in the training, seminars, workshops, and other initiatives brought by partners in 29 European countries. While our event organisers are still adding their events (you have two more weeks to add your events to the map), we would like to give you some glimpses of a huge variety of events of ALL DIGITAL Week 2019. 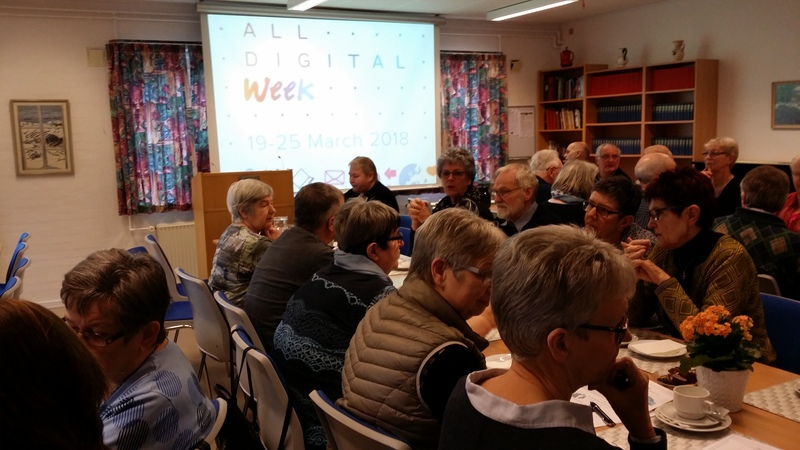 ALL DIGITAL Week is still a big digital inclusion campaign, and all of our partners offered basic digital skills training – from basic digital literacy courses and drop-in consultations to workshops on using smartphones and online communications tools to digital payments and using e-services. But what else has been offered according to our main topics? On the topic of Cybersecurity and online safety our partners in different countriesheld press-conferences, workshops and awareness-raising events to offer tools for online safety and privacy protection.For example, in Romania a few events for schoolchildren were raising awareness about digital threats and teaching cybersecurity and rules of online behaviour – Netiquette. Digital Citizenship workshop in Poland for teenagers explained why and how large companies collect big data online and how we can manage our privacy as citizens of digital societies. Ethical Hacker training in Croatia taught how to hack to help users defend themselves in case of a cyber-attack. 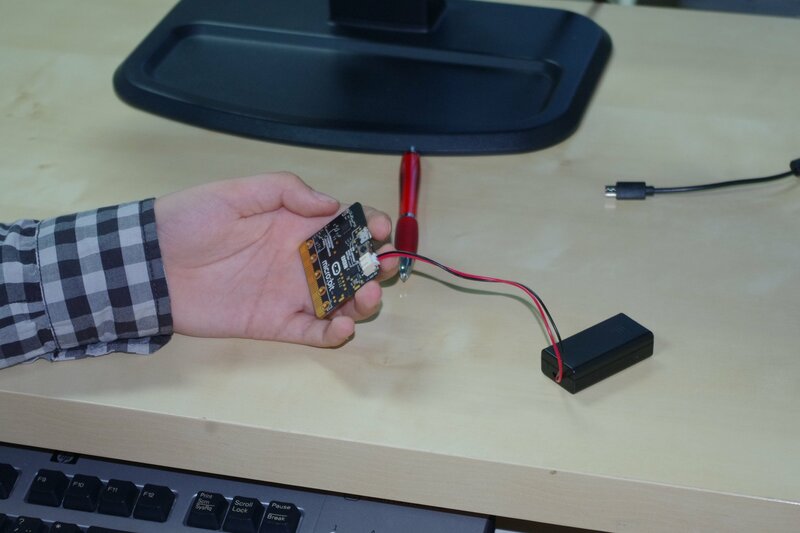 A serious of workshops in Lithuania gave practical tips for banking with code cards. Participants of Teen Internet School in Germany learned how to develop reflection skills on their own digital use patterns, exploring the concept of digital footprint. 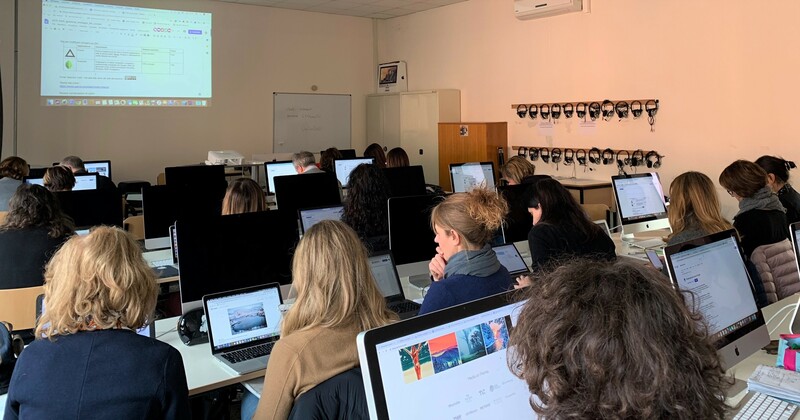 ‘Internet Hoaxes’ in Spain trained participants how to identify the sources or false or fraudulent content and to know the “dangers” to be more secure. 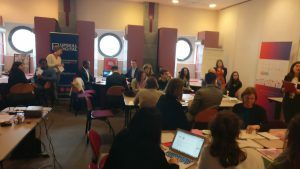 In Italy the workshops were aimed at teaching parents how to deal with adolescents and protect them from online threats. 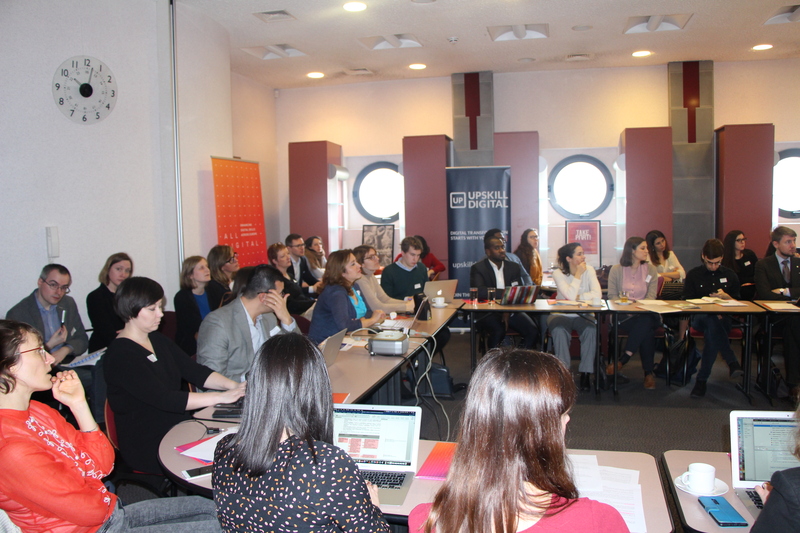 A lot of the events on Media Literacy are coming from Bulgaria, Germany, Lithuania, Serbia, Spain, Italy. 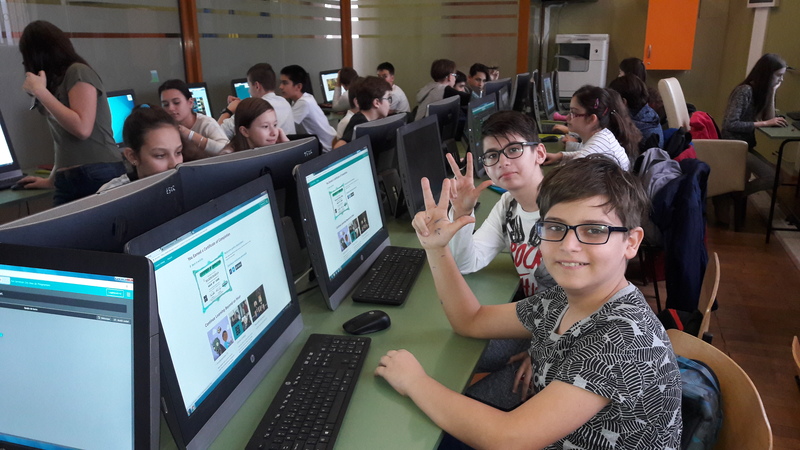 Media Education Centre held a series of Media Literacy workshops in different parts of Serbia as a part of the national campaign about the importance of the creation of the new digital tools for development of the Global Citizenship Education. 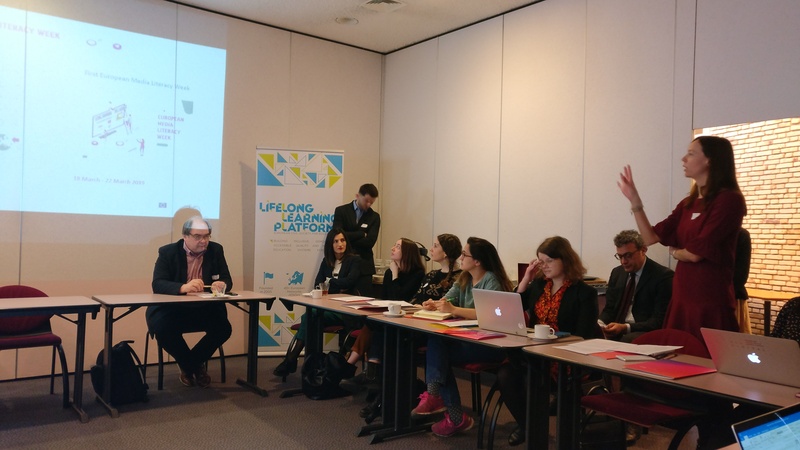 In the series of events organised at Bulgarian libraries, journalists shared their experience on how to recognize fake news and the importance of critical thinking in media literacy. In Germany one of the workshops studied health from the Internet phenomenon and how reliable the information is. In Lithuania, through a series of quizzes and games, in a fun and engaging way participants could brush up their knowledge on our digital world, identifying fake news and using media literacy skills. 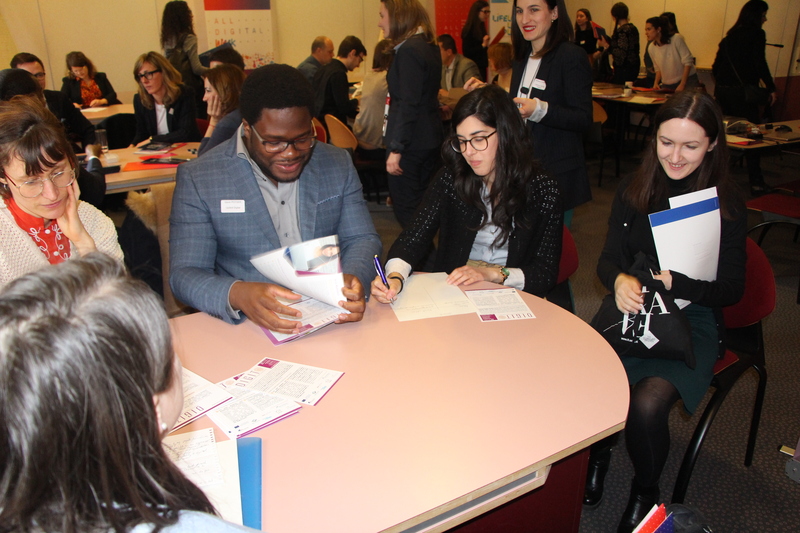 Under Employment and Entrepreneurship, there were also events in different countries, including Finland, Latvia, Lithuania, Russia, Spain, UK and Ukraine aimed at young people or adults to search employment online, making use of the social and educational resources. For example, the workshops in Sweden in Italy taught how to boost businesses with the help of online marketing strategies, in France – how to do computer-assisted embroidery. In Ukraine the university organised a series of events under the umbrella name “Digital Jobs – new opportunities” dedicated to the emergence of new professions driven by the development of digital technologies, as well as the organization of an effective digital workplace for traditional professions. A lot of events were also devoted to developing coding skills both for enhancing career opportunities as well as involving more people in STEM careers. 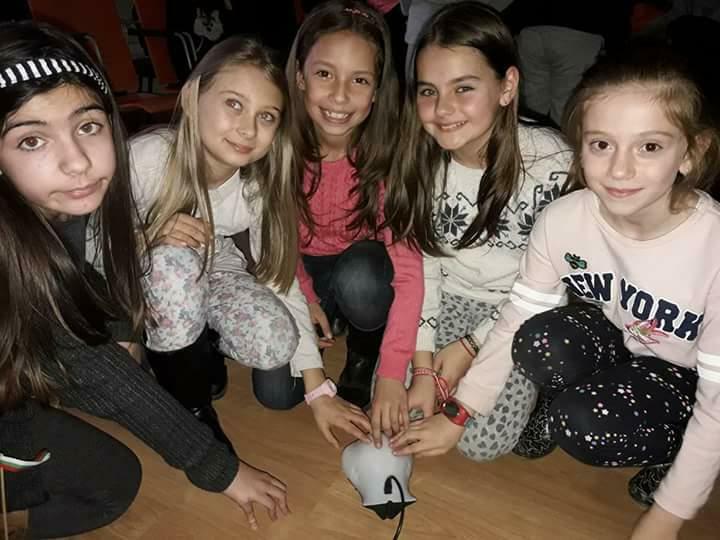 Those activities included Programming with Robot Finch in Bulgaria; Minecraft4CODE in Romania, and a number of workshops in Croatia – on robotics, video games programming, coding with micro:bit, and lots of Coding Club workshops. THINK DIGITAL! The future is here in Italy illustrated how and why it is important to get involved in STEM studies and digital technologies. 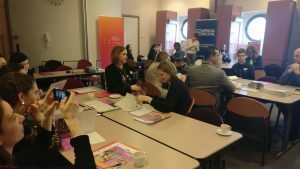 A Forum @Women’s Leadership in STEM Companies in Ukraine was organised to attract women in STEM careers and develop their leadership potential. Here was just a glimpse from the diverse and all-inclusive events. Keep an eye on ALL DIGITAL Week site, many more events are coming! If you haven’t done it yet, you still have time until 15 of April. To recognise the efforts of helping to develop digital skills for children, adults and the elderly, all event organizers will receive certificates. Certiport, a Pearson VUE business and the leading provider of performance-based IT certification exams that accelerate academic and career opportunities for learners, today announced their support for European ALL DIGITAL Week 2019. 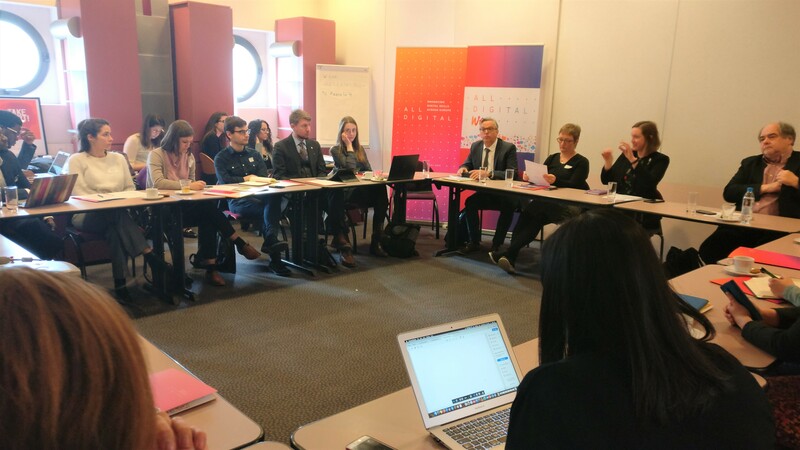 This pan-European campaign sends a strong message to all citizens on the importance of learning new media literacy and digital skills in order to understand and benefit from the digital transformation. ALL DIGITAL Week 2019 takes place from March 25-29, 2019. Germany: Certiport partner Certnet will organise a free workshop on Microsoft Office Specialist on March 26. Ireland and the UK: Certiport partner Prodigy Learning is offering free Microsoft Office Specialist and Microsoft Certified Educator exams. Paris, France: SkillsUp is providing an open session for Adobe Certified Associate certification will be held at Intuit Lab on Wednesday, March 27. 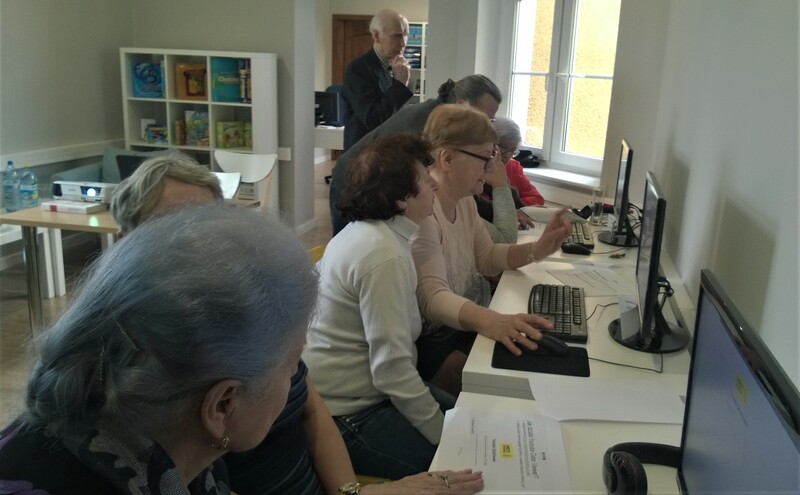 Poland: Numerous sessions are organized by OpenEDG providing free digital skills training and certification including IT Academy for Adults (IC3 Digital Literacy) and Computer Systems Administrator Academy (Microsoft Technology Associate). 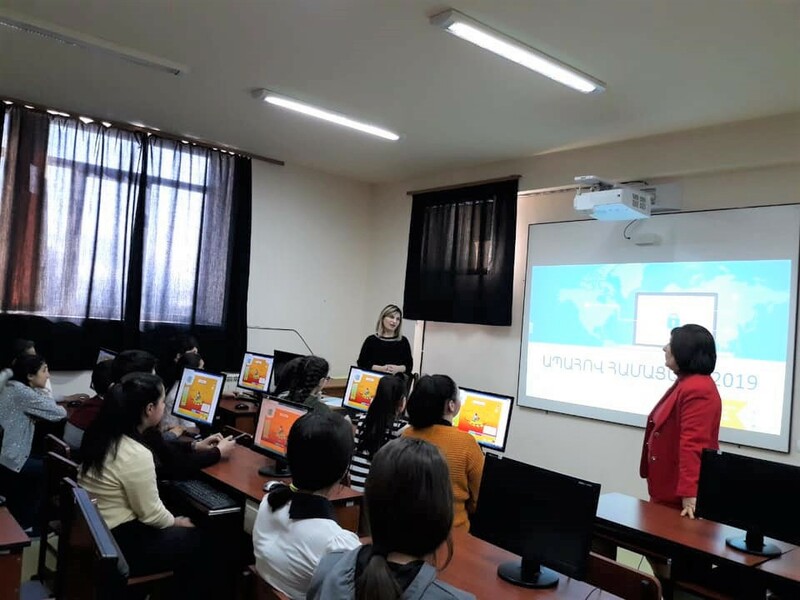 Romania: Certipro Education, Certiport’s partner in Romania, has partnered with Fundatia EOS and the National Association of Public Libraries to offer up to 500 IC3 Spark and IC3 GS5 GMetrix practice exam licenses to schools, public libraries, or other institutions to test digital literacy skills with IC3. “Certiport” and “MOS” are registered trademarks of Certiport, Inc. in the United States and other countries. The names of actual companies and products mentioned herein may be the trademarks of their respective owners. Tell us about your events for ALL DIGITAL Week 2019! The map of events for 2019 is open! 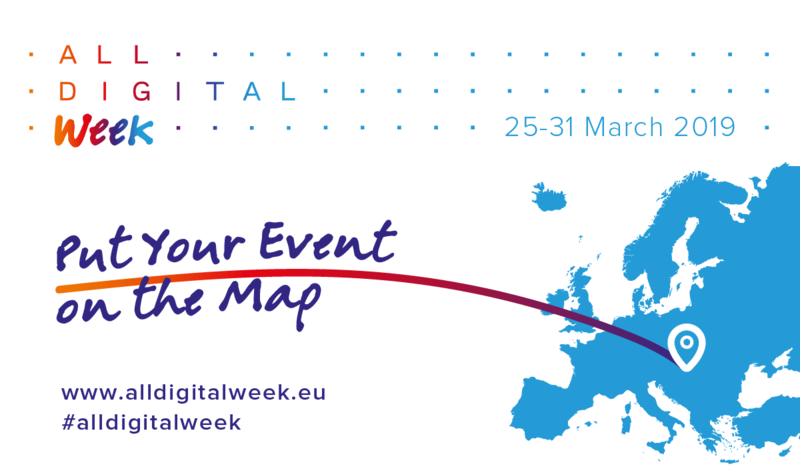 The map of events is open, and we invite digital competence centres, VET providers, lifelong learning organisations, youth organisations, schools, libraries, social enterprises and anyone else interested to get involved by organising relevant events for ALL DIGITAL Week 2019.
Who is the ALL DIGITAL Week for? The ALL DIGITAL Week is for everybody! It is to help people with no, low, or insufficient digital skills to improve them through various training activities. 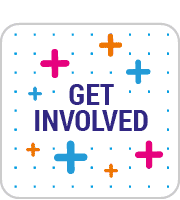 Encourage your students/patrons/learners/neighbours/colleagues to try something new or learn a new skill during this week to help them be safe online, enhance their work productivity or study better, be media literate, prepare for a new job or enjoy the the communication with the loved ones. We haven’t found out country in the list of partners. Can we participate? ANYBODY can join the campaign. 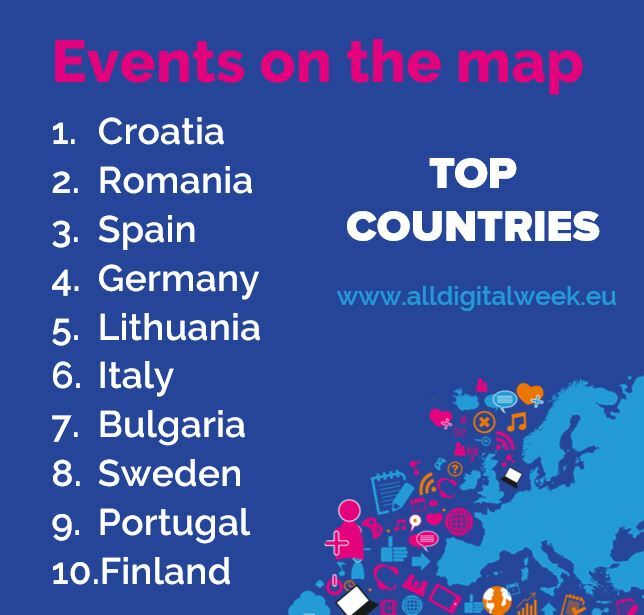 You can organise an event yourselves and let us know about it by adding it on the ALL DIGITAL Week Map. Any ideas on which events to organise? When should we add the event on the map? It is better to add it as soon as the even is planned. This will probably encourage others to follow your example, and you can learn by browsing events what people in different countries are planning. After the event is conducted, you can go back to your form and describe how it went – let us know your impressions, share participants feedback and photos. All event organisers will receive the certificate after they complete the form. If the event is described well, has photos and feedback from participants, it automatically enters the contest for the Best training or Best promo event, the winners of which will be invited to attend the ALL DIGITAL Summit in Bologna in October and will receive the travel grant. Would you like to join the biggest European digital empowerment campaign? 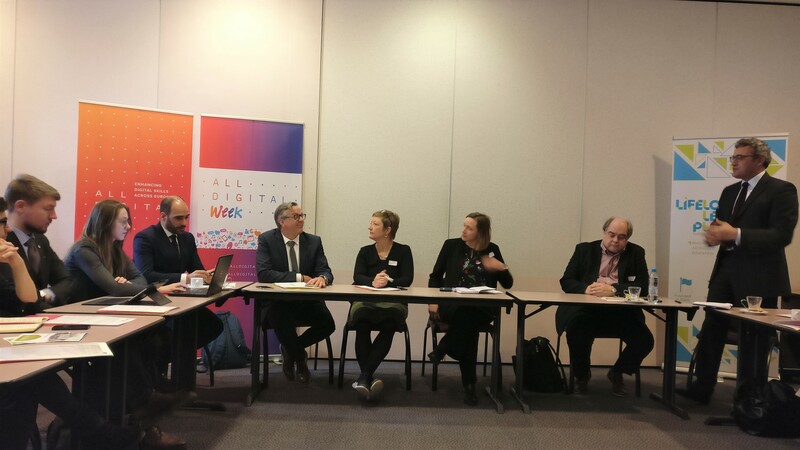 We invite national networks, umbrella organisations, or those with capacity to have a big regional or national reach to become partners of the European ALL DIGITAL Week on 25-31 March 2019. 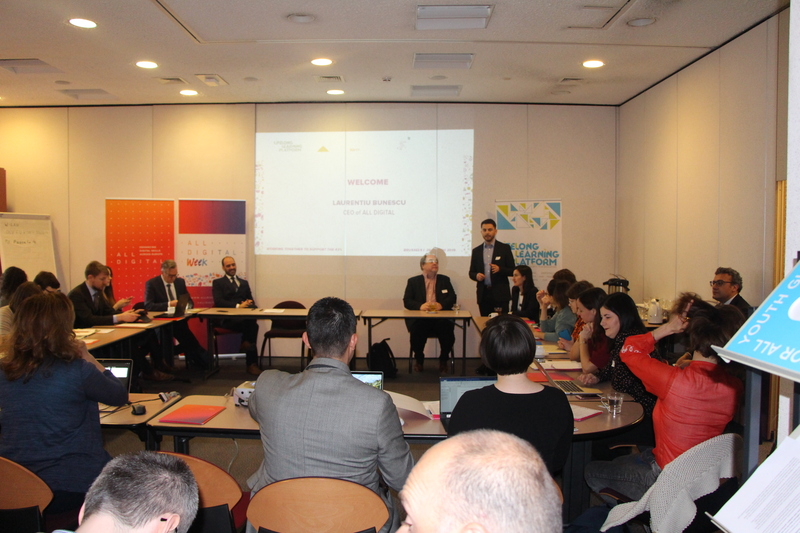 The 10th edition of the campaign wishes to send a strong message to Europeans that they should take active steps towards understanding and benefiting from the digital transformation, by learning new media literacy and digital skills and by developing an adaptive mindset. 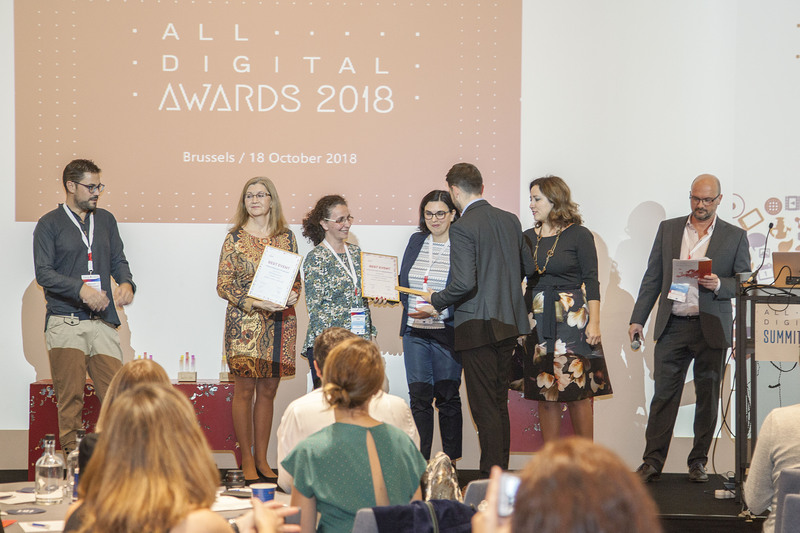 On 18 October 2018, the ALL DIGITAL Awards Ceremony was organised in Brussels to celebrate the finalists and winners of the awards competition, organised each year to recognise the achievements of individuals and organisations across Europe that enable people to exploit the benefits and opportunities created by digital transformation. One of the categories was the THREE Best Events of ALL DIGITAL Week 2018. That competition was held during the campaign. To enter the competition the organisers had to add their event to the map with photos, description and feedback from participants. And the jury assessed those based on the quality of content, participation, media impact, etc. Out of the events presented on the map the organisers chose three best ones. We were very excited that all of them managed to come to Brussels to participate in the ALL DIGITAL Summit and the Awards Ceremony! 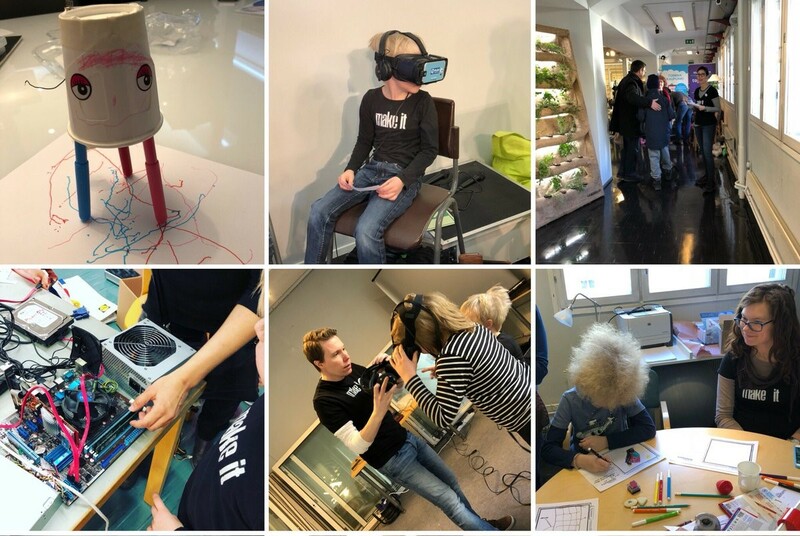 For the first time this year the ALL DIGITAL Week was organized in Finland thanks to our cooperation with Bildningsalliansen and Make it Finland. We were very excited to partner with them and hope it will continue. They really pulled their resources and organized a few events all over the country, one being a big opening day called From Digiblaha to Digiaha. 19 March became the All Digital Day. 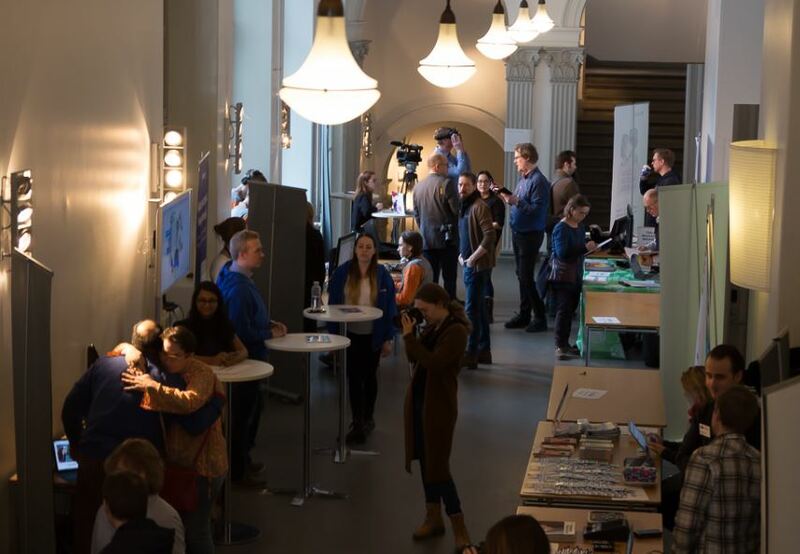 The three floors of the big house in downtown Helsinki were filled with keynotes, discussions, a digital fair, presentations, and a lot of laughter. On our Unite-IT platform you can learn more about the event with the full agenda, photos and videos – if you want to organize smth similar – you have the ready script: Finland: From Digiblaha to digiaha. 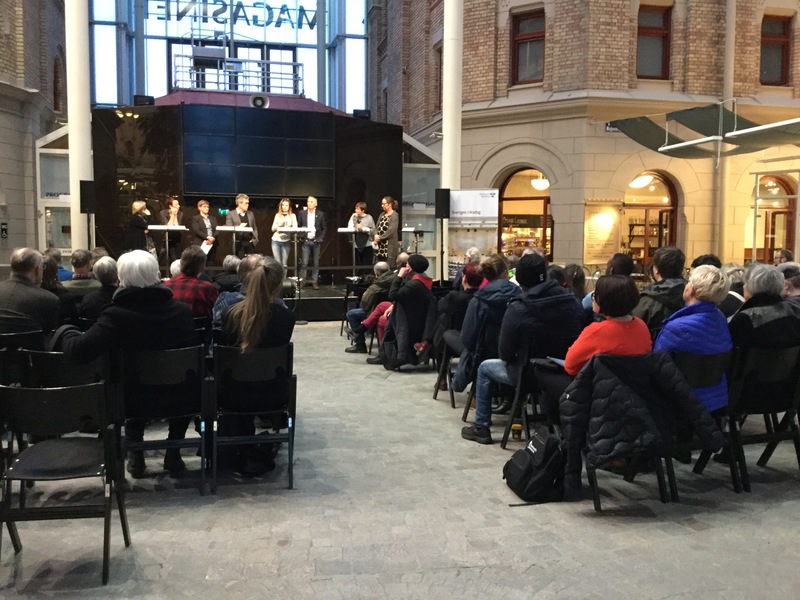 Bildningsalliansen is the organization that united various partners, and at the Ceremony it was represented by Liisa Tiainen of VTKL – The Finnish Association for the Welfare of Older People. Other two events are the training events, and no surprise that the events from these two countries won – they have been partners in the campaign from the very beginning – Romania and Spain. 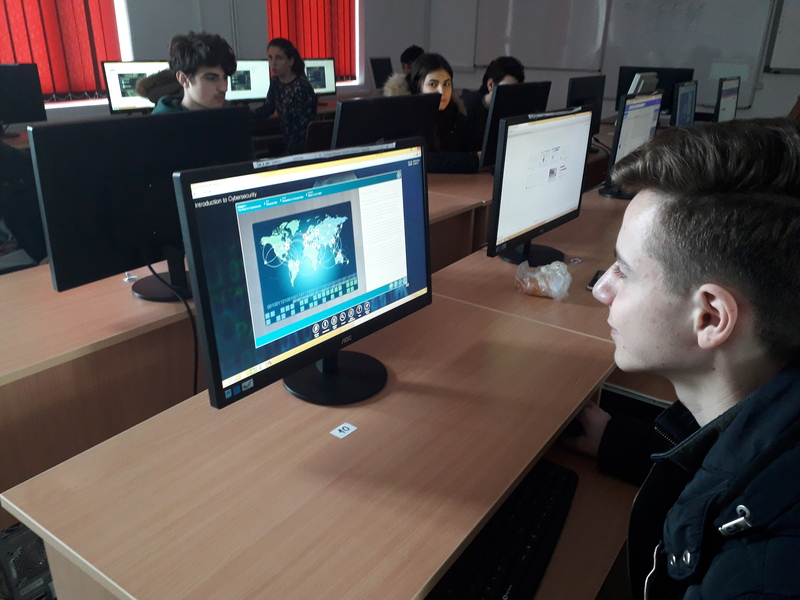 The first ‘event’ was in fact a series of events at Ienachita Văcărescu National College in Targoviste, Romania as part of Introduction to Cybersecurity training course as part of Cisco NetAcad programme. 380 students between the ages of 15 and 17 years old attended an online course either from school or from home with support of their teachers. You can learn more in the blog Romania: “Introduction to Cybersecurity” at “Ienachita Vacarescu” National College. The teachers from the College Anca Mihaela Rafira and Catalina Estera Vlad were present at the Ceremony. 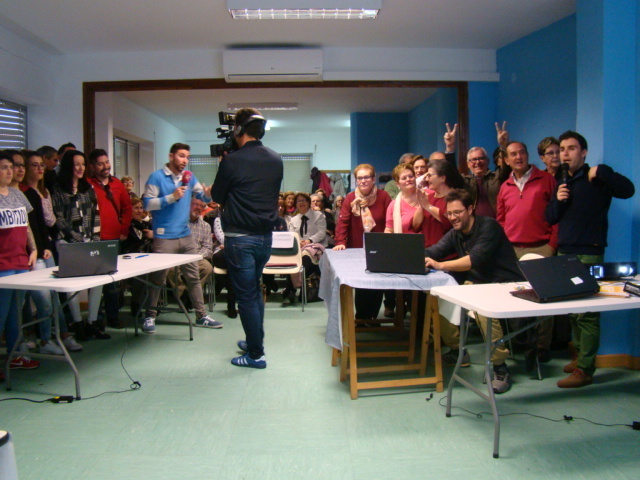 It felt like the biggest media buzz was coming from Extremadura, Spain – over 1100 users participated in ALL DIGITAL Rings in various ICT centres, civic centres, libraries and other public spaces. The events were supported by ALL DIGITAL member AUPEX. The ring is an activity based on a Scratch project, easily scalable that have been adapted to different levels of digital competence and contexts. 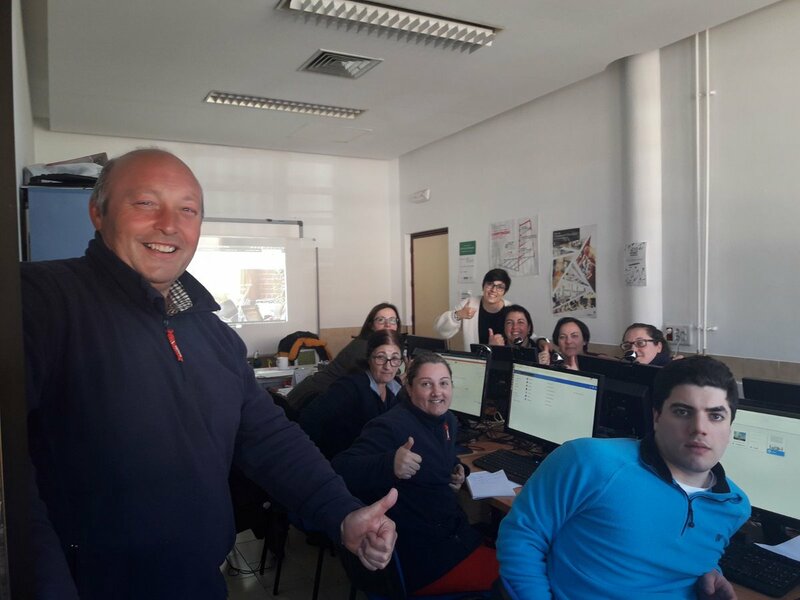 Also, on our Unite-IT blog Spain: All Digital Ring | Scratch project to be shared there is a detailed explanation of how it is done, the links to questions and tips on how to conduct. AUPEX and ALL DIGITAL Ring was represented by Antonio Roman-Casas. 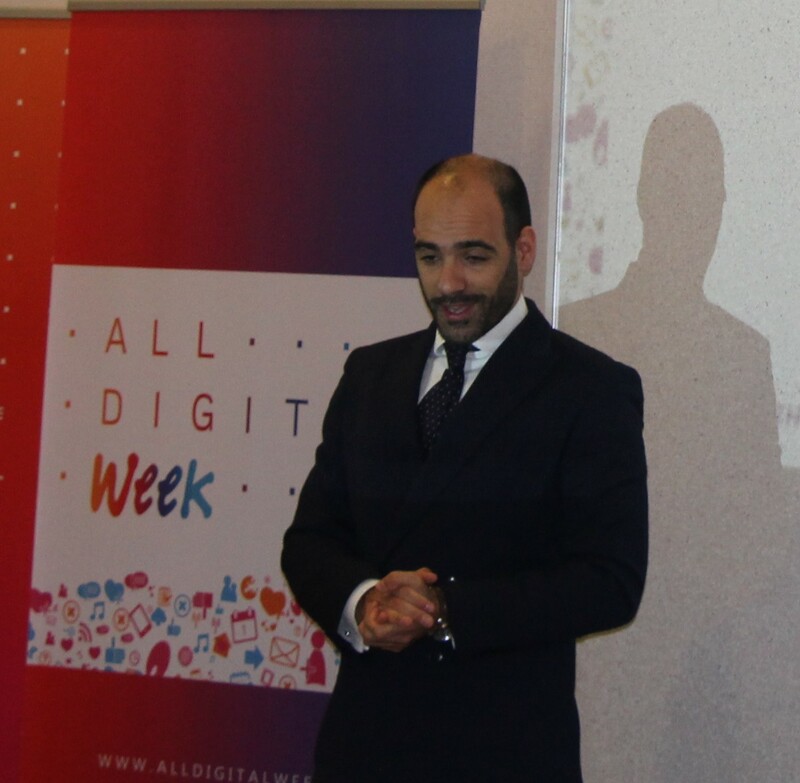 The winners of ALL DIGITAL Week Best event were awarded by CEO of ALL DIGITAL Laurentiu Bunescu. CONGRATULATIONS! ALL DIGITAL Week 2018 turned out to be one of the most successful campaigns – it united 4,070 partners from 32 countries to offer 5,445 events to over 125,000 participants. The digital empowerment campaign was organised by ALL DIGITAL for the 9th time and was run in digital competence centres, libraries, schools, community centres, etc. across Europe supported by local authorities, companies, academia and volunteers from various sectors. Underpinning these themes there were diverse events and activities covering a variety of topics from basic digital skills (30.7%), digital media literacy (23.9%) to online safety and cybersecurity (12.6%), STEAM (10.9%) and coding (5%). The figures show the relevance of the original idea of the campaign – to bring people online and help them with basic digital skills. The most popular types of events were workshops and training sessions (58.5%), digital skills assessment and certification (14.8%) and information sessions/seminars (11.3%). However, there were also different promo events, conferences, discussions, awards, contests, and even hackathons. The events are traditionally offered to various audiences, and this year the main target groups included school children (30.1%), trainers/teachers (18.7%), general public (17.7%), unemployed adults (10.5%), NEETs (7.9%) and retirees/elderly (5.4%). ALL DIGITAL Week was led by our national partners in 26 countries, and all the figures are based on the reports provided by them. We are grateful for their dedication and leadership in their communities. 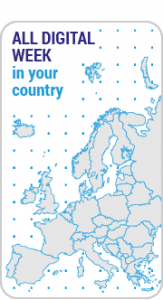 You can see the overview of activities in each country where we had a national partner by clicking on the flag. There you can also see the links to blogposts, photos, some media coverage, and information on past editions. This year we made the campaign more inclusive – any event organiser could put their event on the map and tell us how it went, even if there were no national partners involved. Over 800 events were added to the map, and we are so happy to have learned that the campaign activities were held in more countries and more communities beyond the ones covered by national partners. Thank you!! We hope you have all enjoyed being part of the European campaign and we’d like to see you again with us next year! 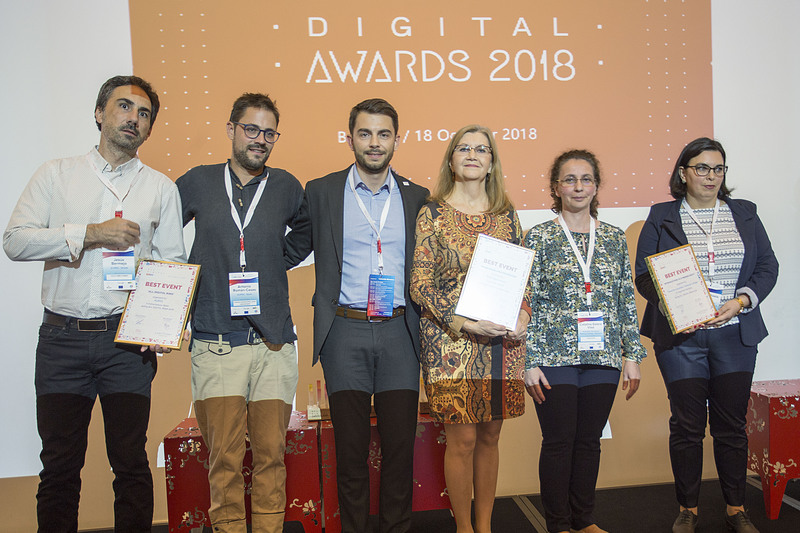 All the events entered the contest, and the jury chose the 10 finalists and THREE BEST events of ALL DIGITAl Week 2018 – ‘All digital ring’ workshop from Spain, Introduction to Cybersecurity from Romania, and the campaign launch event from Finland. They Awards Ceremony will take place in Brussels on 18 October as part of the ALL DIGITAL Summit. You can browse the events on the map and get inspired for your own work! And we, together with our partners, will continue our efforts to support people in their digital journeys! So JOIN US FOR the 10th edition of ALL DIGITAL Week on 25-31 March 2019! Over 800 events have been added to the #alldigitalweek map, and many more to the individual countries’ maps. The variety of events was truly impressive, and we were really excited to learn about them from the map. All the events automatically entered the Best Event competition, the information about which was disseminated by our national partners and presented on our website. What did the event organisers have to do to participate in the contest? The best events were selected by a jury consisting of ALL DIGITAL staff and Board members, based on a combined set of criteria, including quality of content, participation, event media impact, etc. 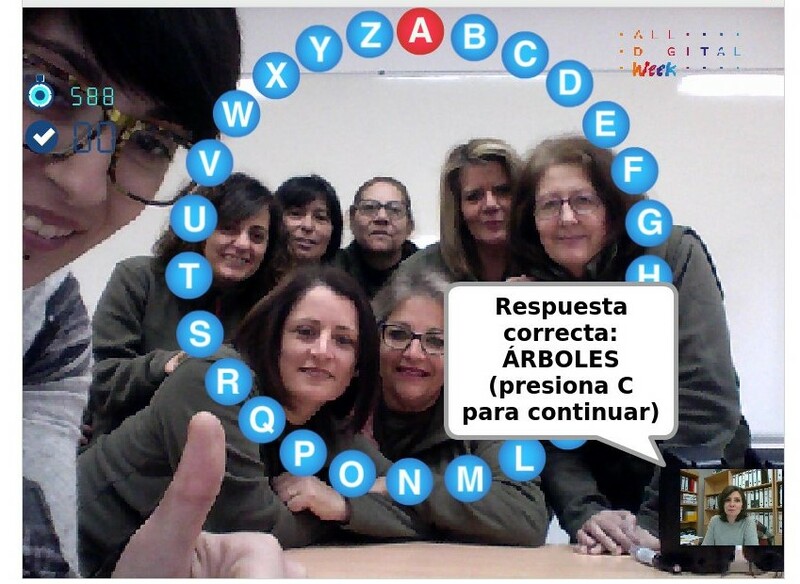 Spain: Media Literacy | True or False, what do you believe? Romania: Web accessibility – make the Internet available for all! The prize includes participation in the ALL DIGITAL Summit 2018 on 18-19 October in Brussels: conference package and travel grant for up to 500 EU for one representative from a winning organisation. We look forward to seeing the winners in Brussels and celebrating their efforts in the special Awards Ceremony on 18 October! A lot of events, social media posts, photos and videos have also come from Spain (have you seen their Digital Ring activities?). And it is not surprising, as the national partner in the campaign is the Association of Telecentre Network, which includes 11 networks in itself. The Association has been participating in the campaign since 2013 to encourage people to use the Internet and to acquire digital skills. Spain has been one of the most active countries in these 5 years with 24,000 people involved.